Rugged red poly tray. Steel front tray braces. Solid rubber tire. Strong red poly wheel. Steel axle and ball bearings. 31" hardwood handles. 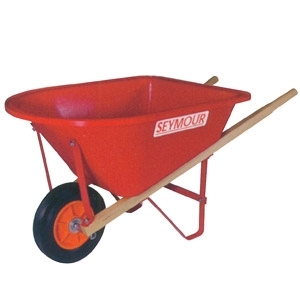 Can be used as a children's wheelbarrow or a gardening cart.